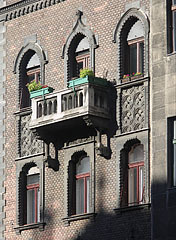 Designed by Alajos Hauszmann, built in 1889. 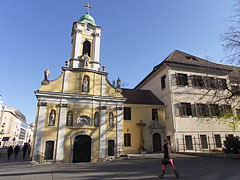 The former was built in 2011, and the latter in 1926. 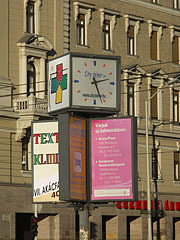 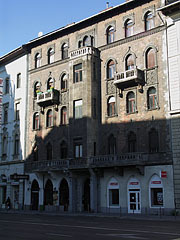 It was designed by Emil Bauer, built in 1922. 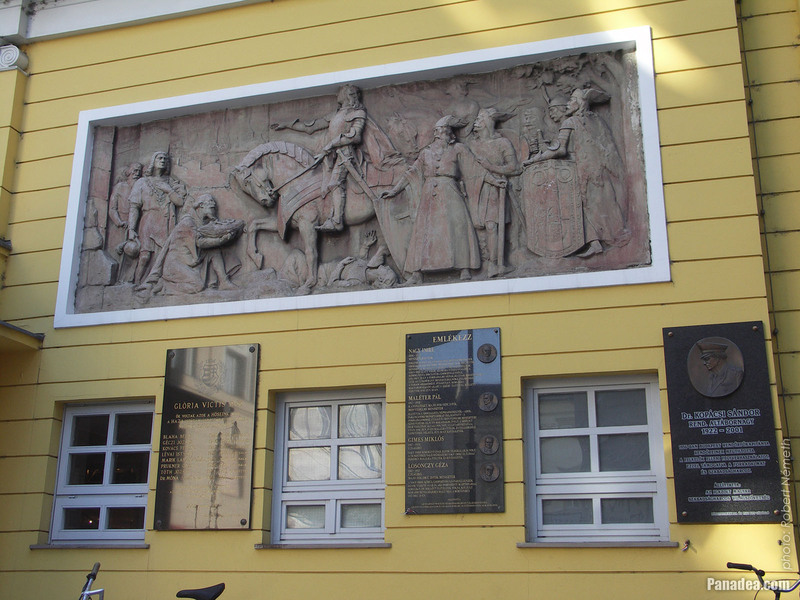 The vicinity was a scene of serious resistance fights in the Hungarian revolution of 1956. 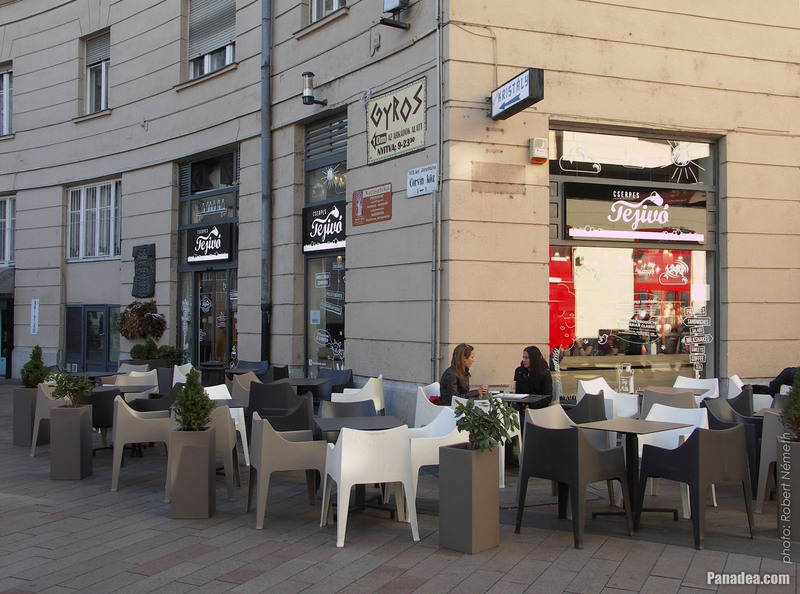 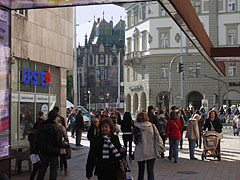 The former famous Valéria Coffee House was operated on the ground floor of the building that is on the other side of the road. 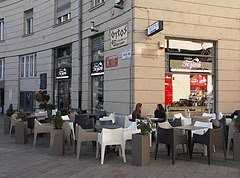 Despite its surprising name beside the milk beverages there are among others other soft drinks, sandwiches, bakery products and sweets also can be found on its menu. 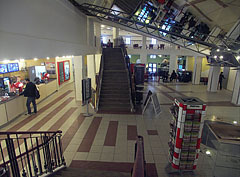 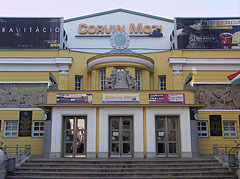 It was converted to a multiplex movie theatre (that has multiple screens) in 1996. 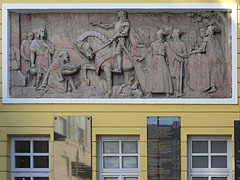 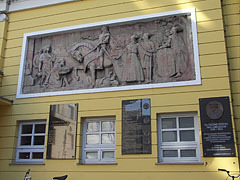 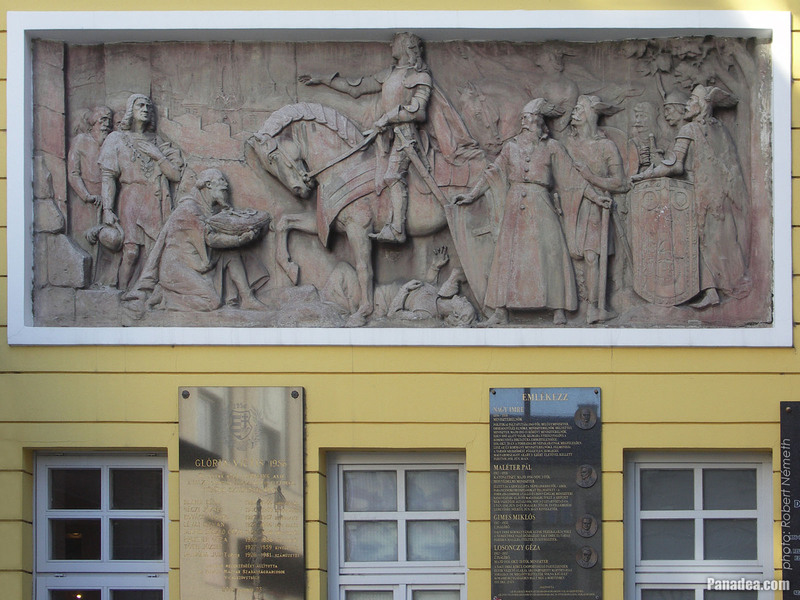 This artwork of József Róna from 1922 also refers to the name of the Corvin köz (street), because the Latin name of the medieval King Matthias I of Hungary was Matthias Corvinus Rex. 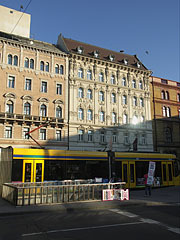 This corner building was built in 1892, once the Valéria Café or Coffee House was operated here. 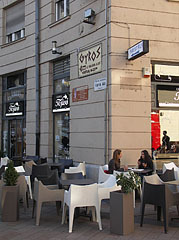 Among others there is a Persian restaurant on its ground floor. 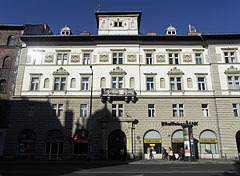 The building was built in around 1894, today there is a grocery store on its ground floor. 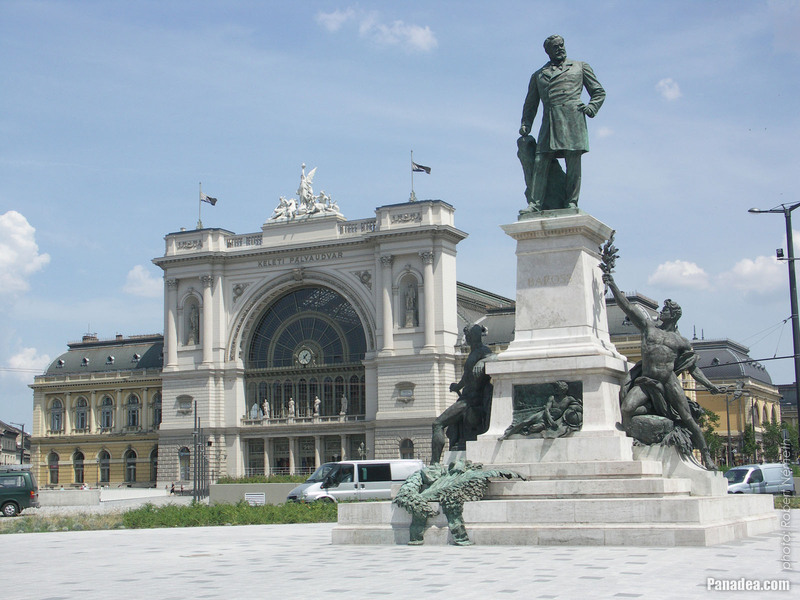 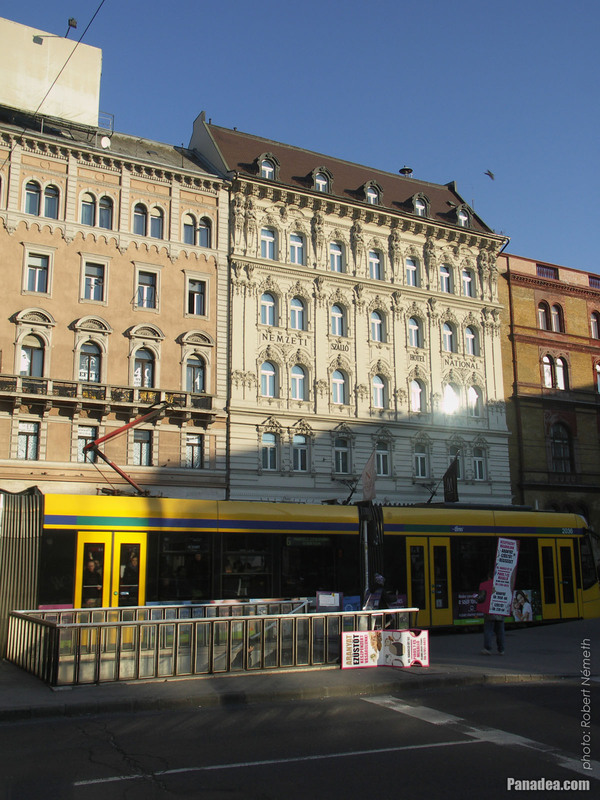 Designed by Ernő Schannen, built in 1896, the last renovation was done between 2008-2012. 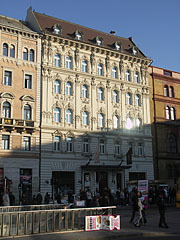 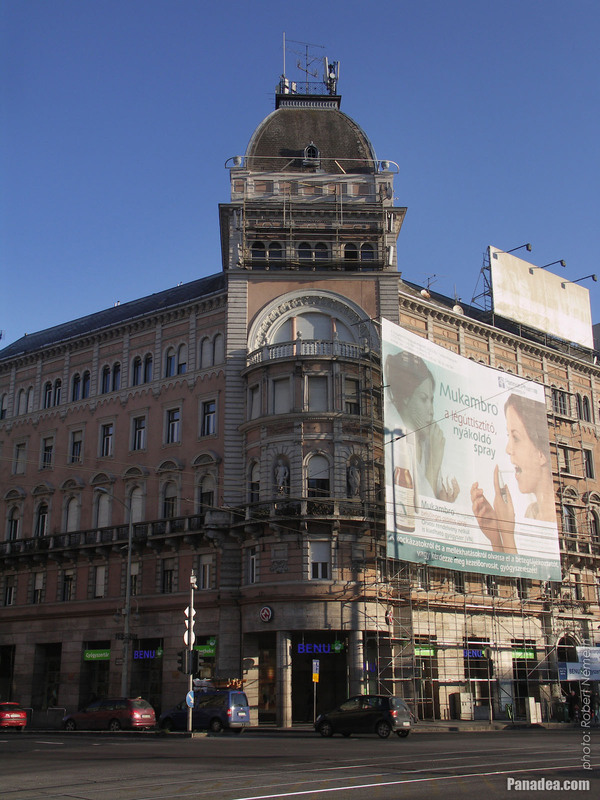 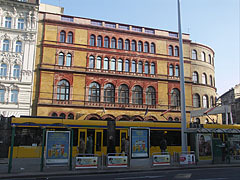 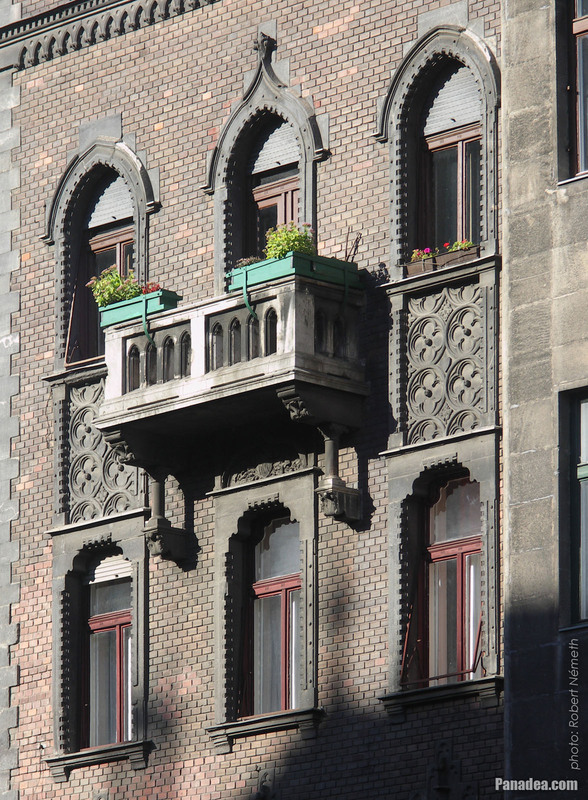 The corner building was built for Zsigmond László between 1893-1894, designed by István Kiss. 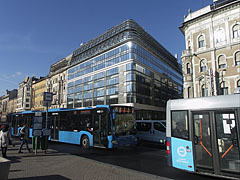 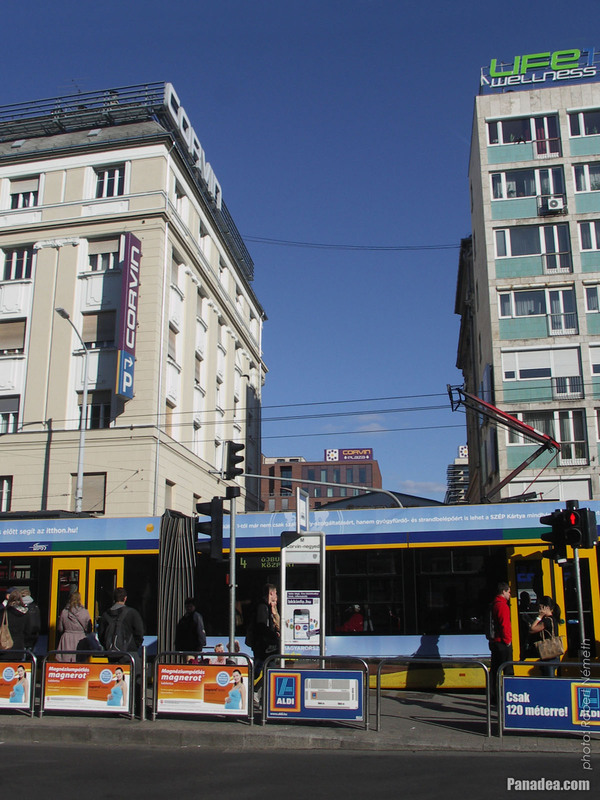 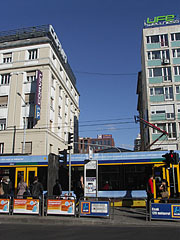 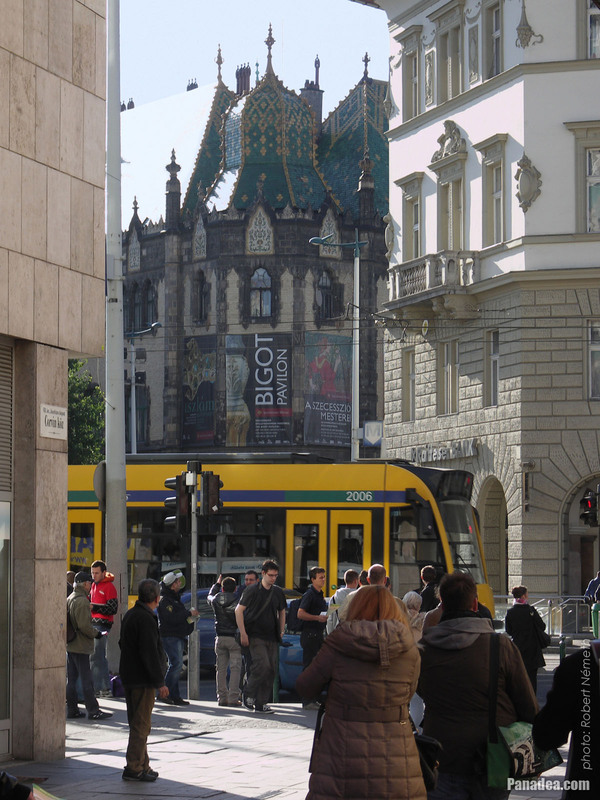 There is a Hungarian-made blue Ikarus 280 autobus model in the bus stop on the picture. 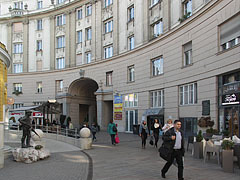 Today among others the Bánki Donát Technical College of Mechanical Engineering (Hungarian: "Bánki Donát Gépipari Műszaki Főiskola") and the National Authority for Consumer Protection (in Hungarian "Nemzeti Fogyasztóvédelmi Hatóság" or NFH) are within the walls of the building. 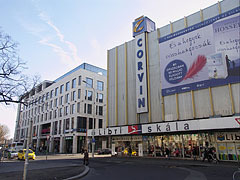 The Corvin Cinema (also known as Corvin Movie Theater or Corvin Budapest Film Palace) was built in 1922, designed by Emil Bauer. 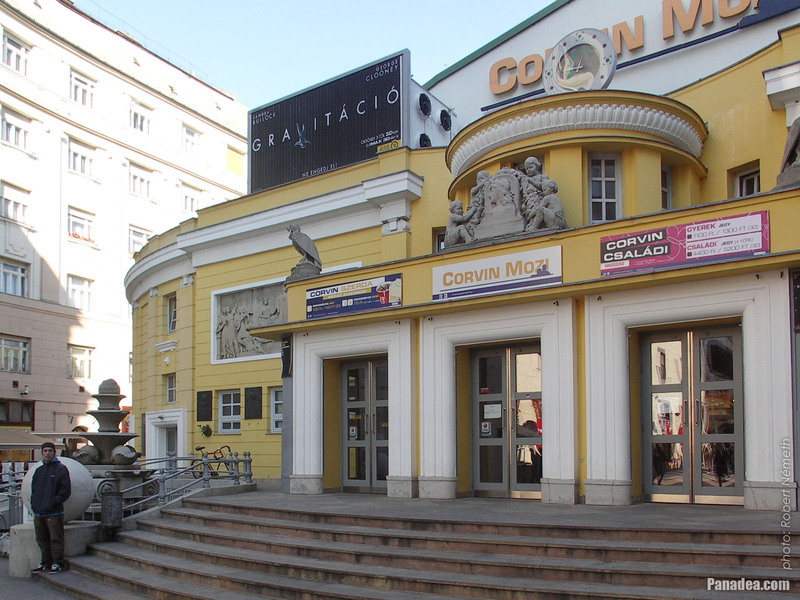 At the opening ceremony the Hungarian poet Dezső Kosztolányi greeted the new cinema with a verse that he wrote especially for this occasion. 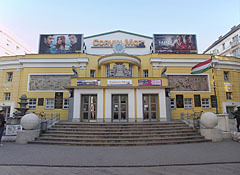 In 1929 in collaboration with the the German UFA film factory the cinema was adapted to be capable of presenting sound films, then in 1957 it was prepared to play wide-screen movies as well. 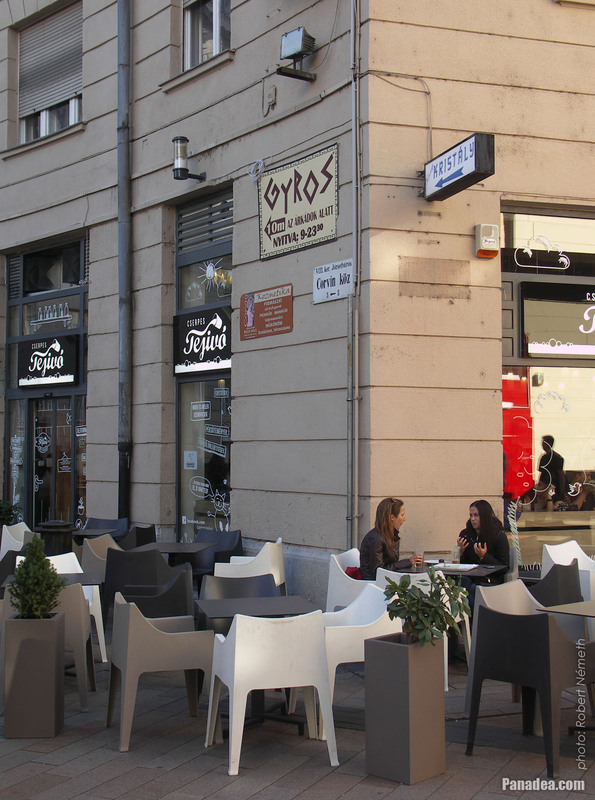 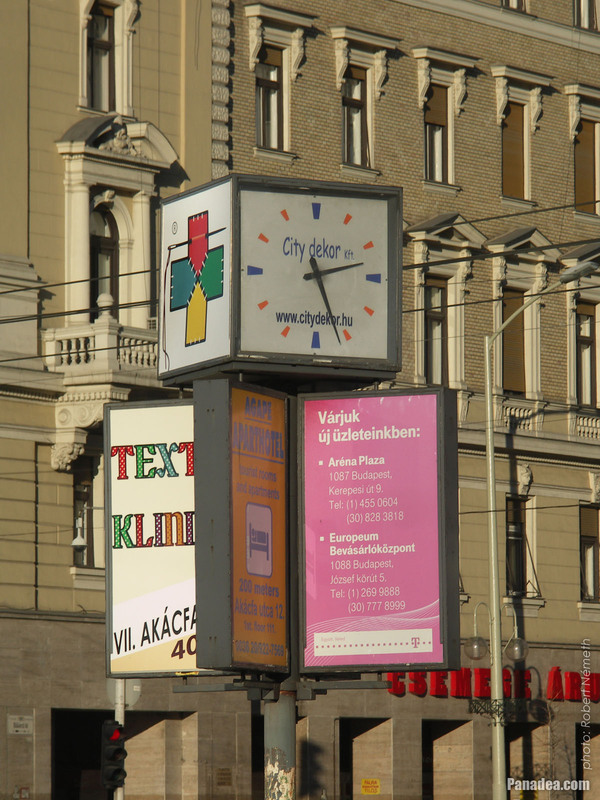 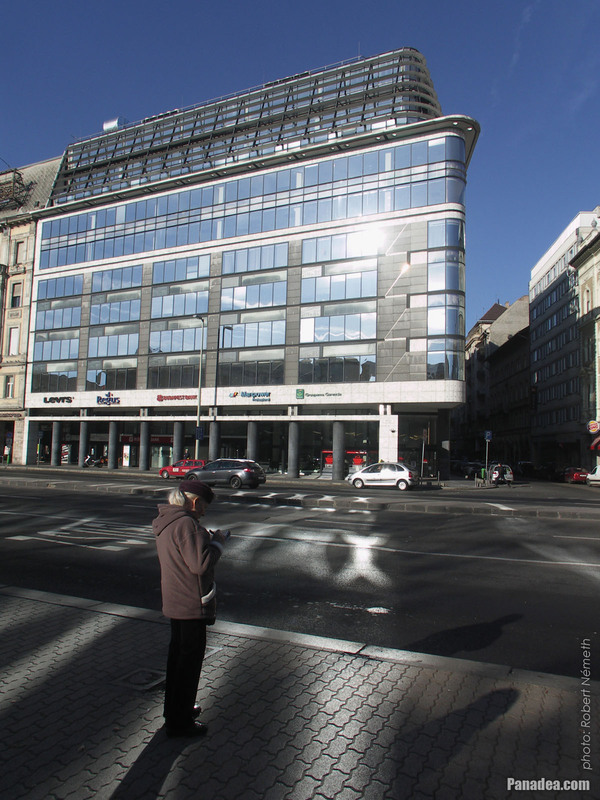 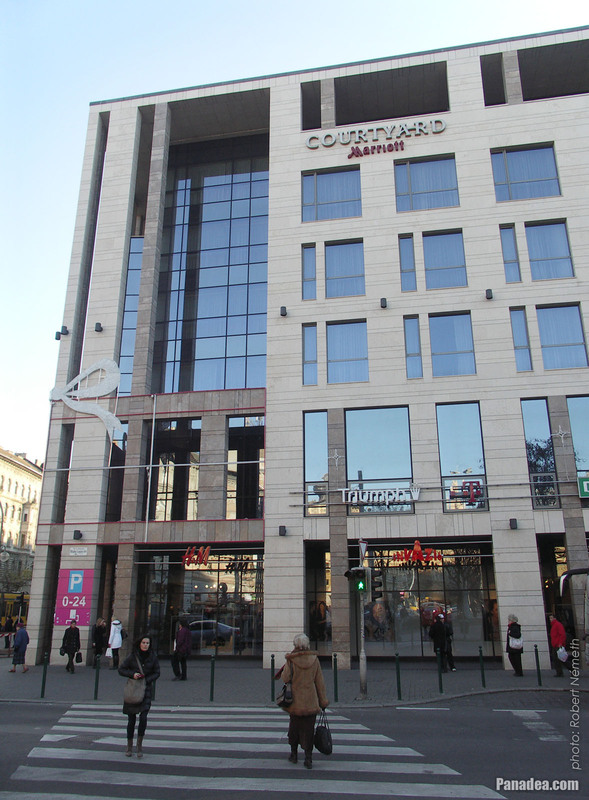 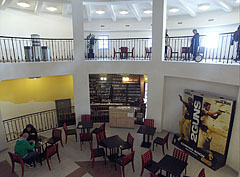 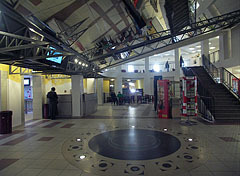 The building was last renovated in 1995-1996, and at the same time it was also modernized by the plans of Dezső Töreky architect and László Rajk interior designer. 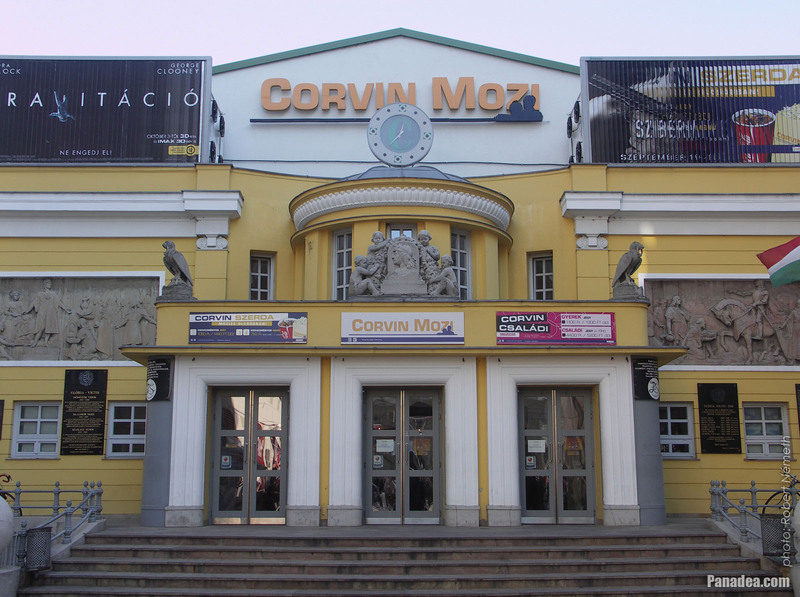 Instead of the just one big auditorium as before, six new screening rooms and auditoriums were created, thus the Corvin Film Palace finally became a competitive, modern multiplex cinema. 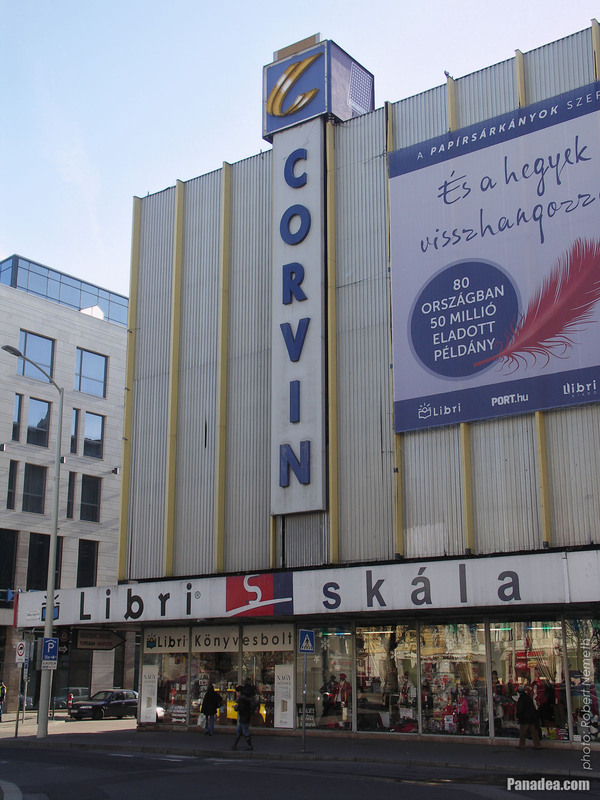 Unfortunately the Corvin Movie Theater in Budapest was used more times also for political purposes. 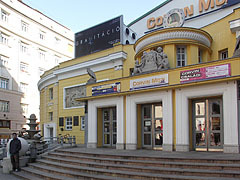 During the Second World War due to financial reasons the entertainment facility was firstly just leased to a German company, but from 1944 it became completely German-owned and it was used to play national socialist (nazi) propaganda films. 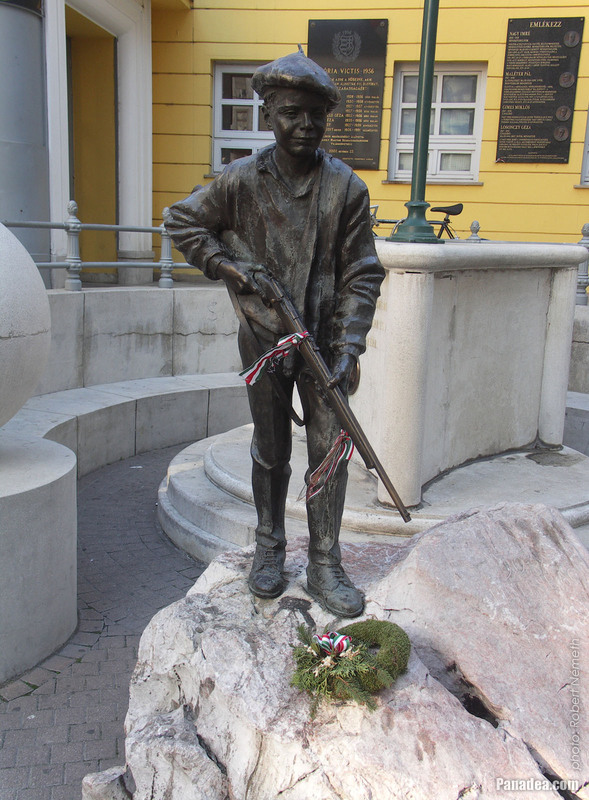 In this respect the situation wasn't any better after the World War II. 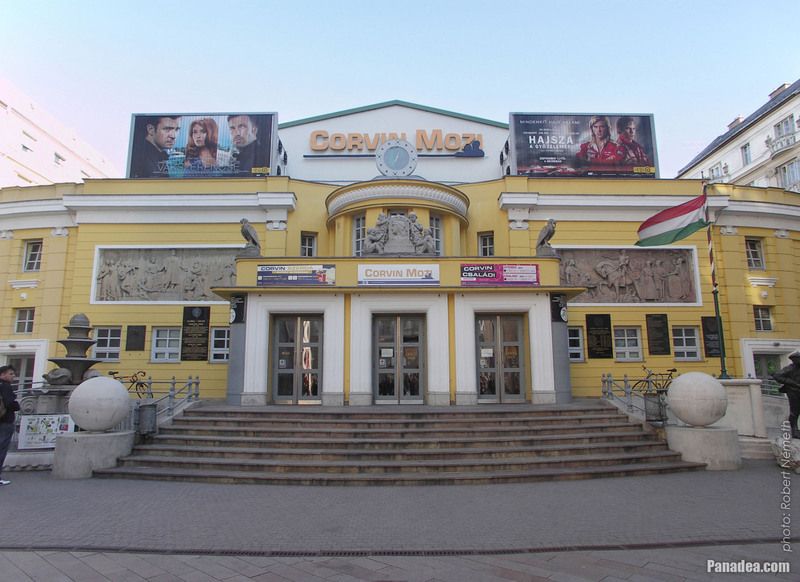 In 1947 the although just indirectly but still owner Social Democratic Party ("Szociáldemokrata Párt") passed the cinema to the soviets, and they kept it for themselves until 1955. 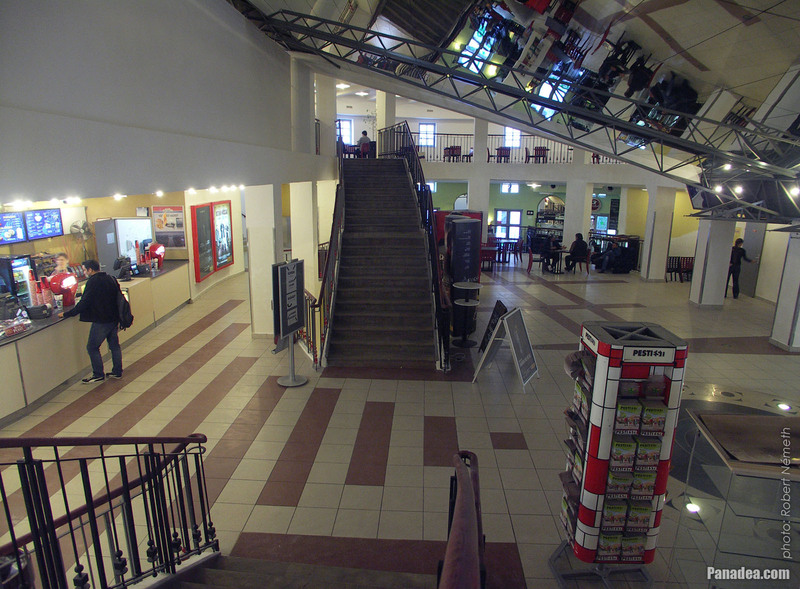 During these times the cinema played and alloweed to play only soviet films, with of course almost zero interest from the people. 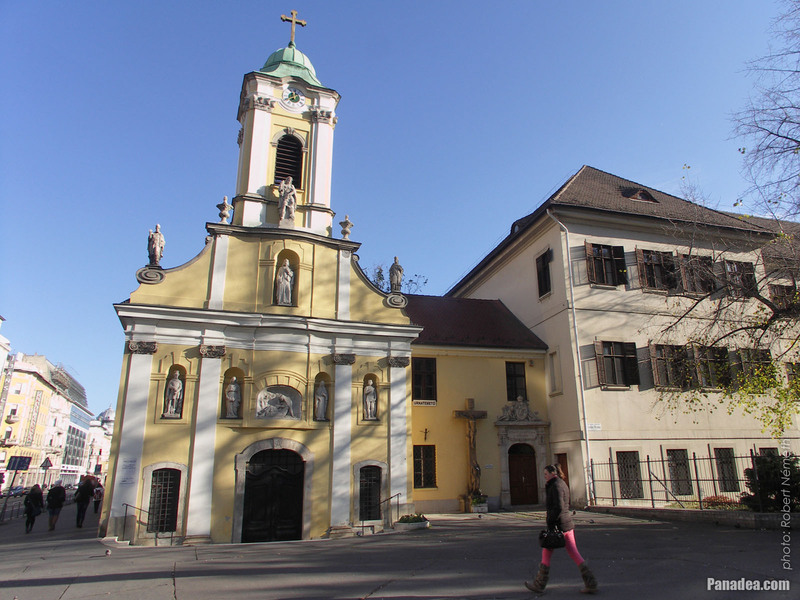 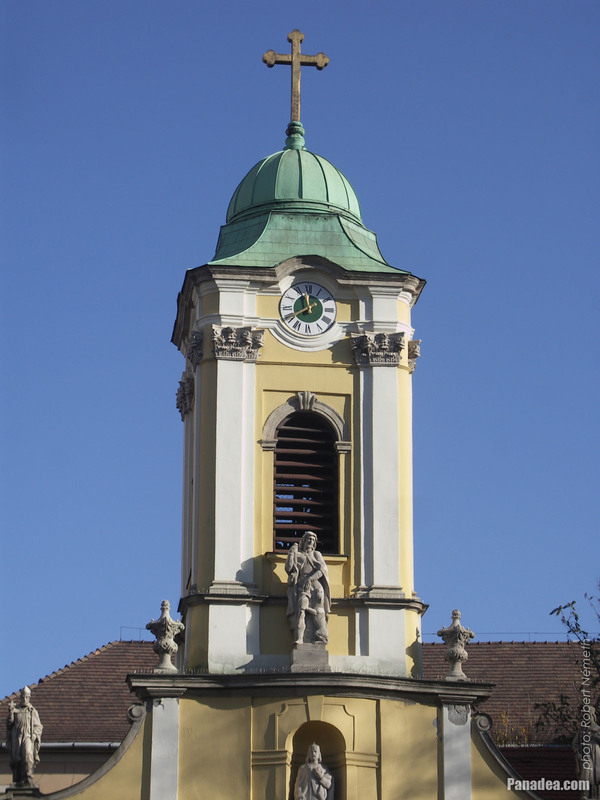 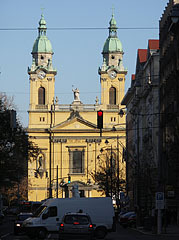 The St. Joseph Parish Church (in Hungarian "Szent József-plébániatemplom") in Józsefváros (8th district) designed initially by József Tallher and built between 1797-1798, and its twin-towers in 1810. 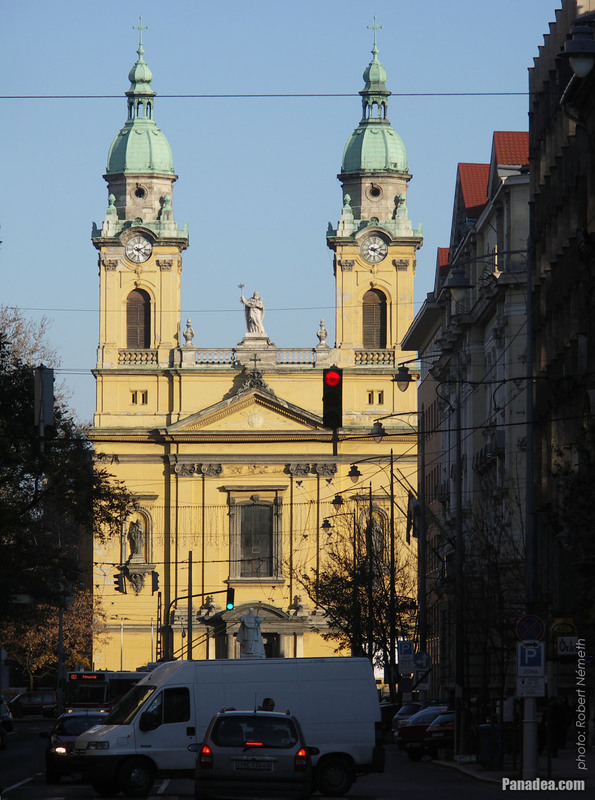 The late neoclassical baroque style facade was designed by Fidél Kasselik in 1814, and finally the present eclectic style form of the church was created during the renovations of 1891-1895, which was led by Elek Barcza. 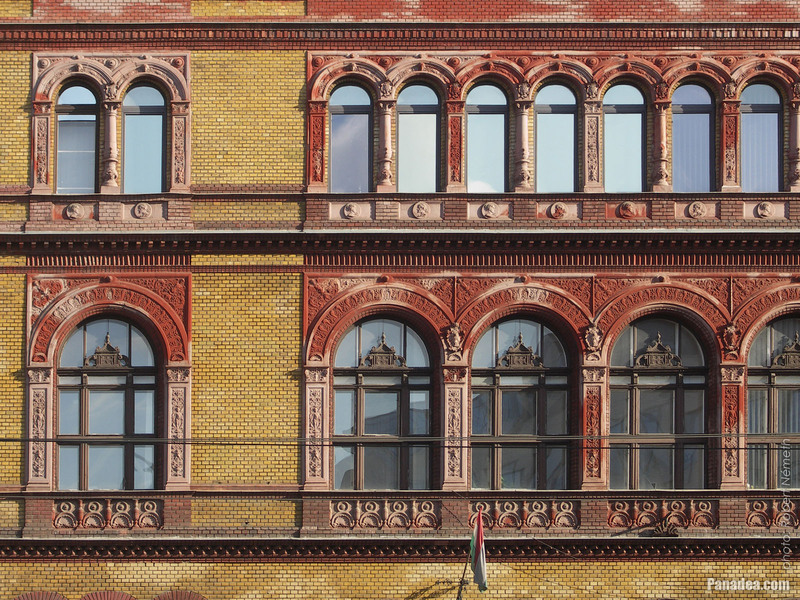 There is a brick-walled five-storey apartment house in front of the well-known Museum of Applied Arts of Budapest ("Iparművészeti Múzeum"). 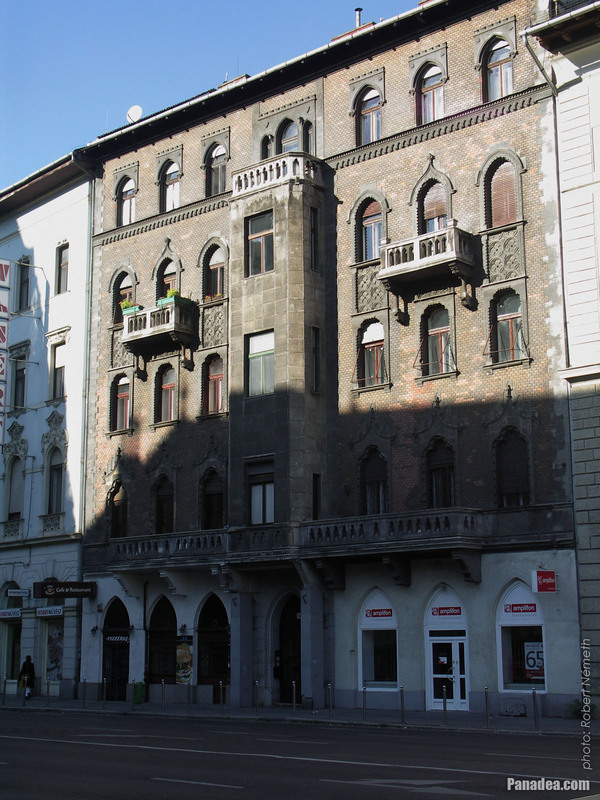 This building was heavily damaged in the Hungarian Revolution of 1956 when the invading soviet troops hit it by a mortar. 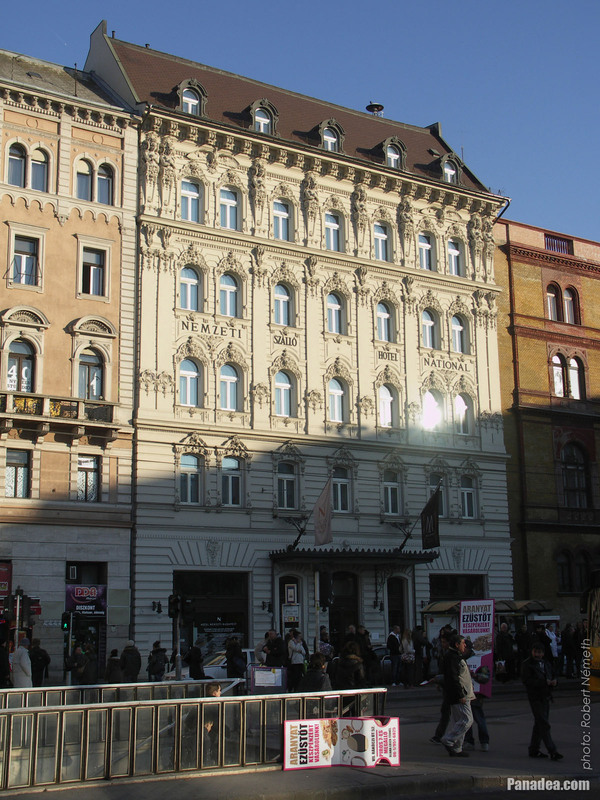 Later, probably due to more storeys of the building were damaged it was reconstructed in more different styles, the protruding part on the middle of the facade was built also at this time. 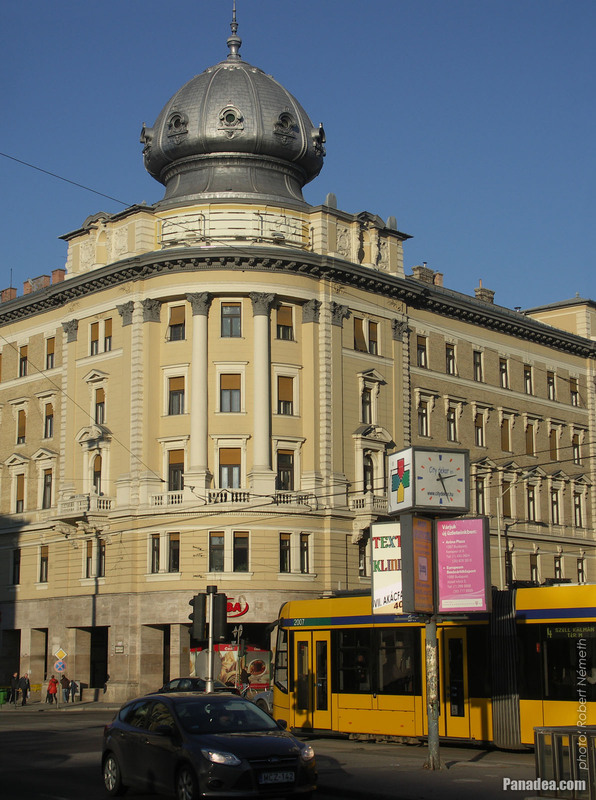 By the way, during the fierce fighting the soviets shot and destroy a lot of historic buildings with their tanks in Pest downtown. 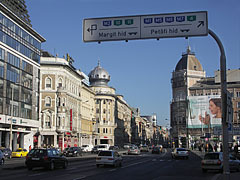 if someone sees photos of the ruined city of 1956 can not believe that it is really the present Budapest. 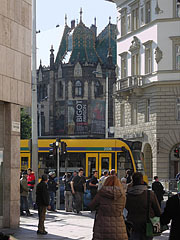 The magnificent Art Nouveau style building of the Museum of Applied Arts was also seriously damaged, which could be completely restored only many decades later. 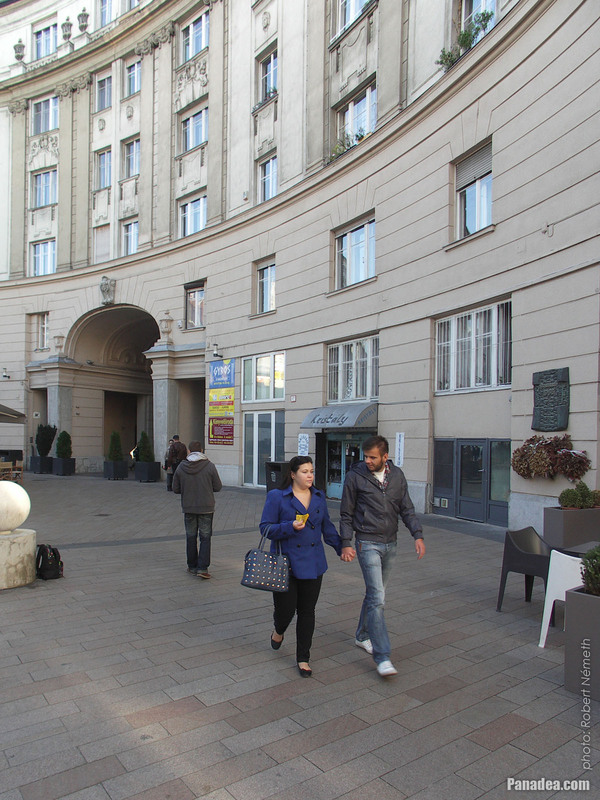 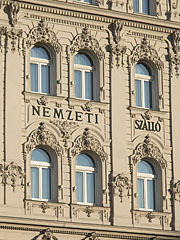 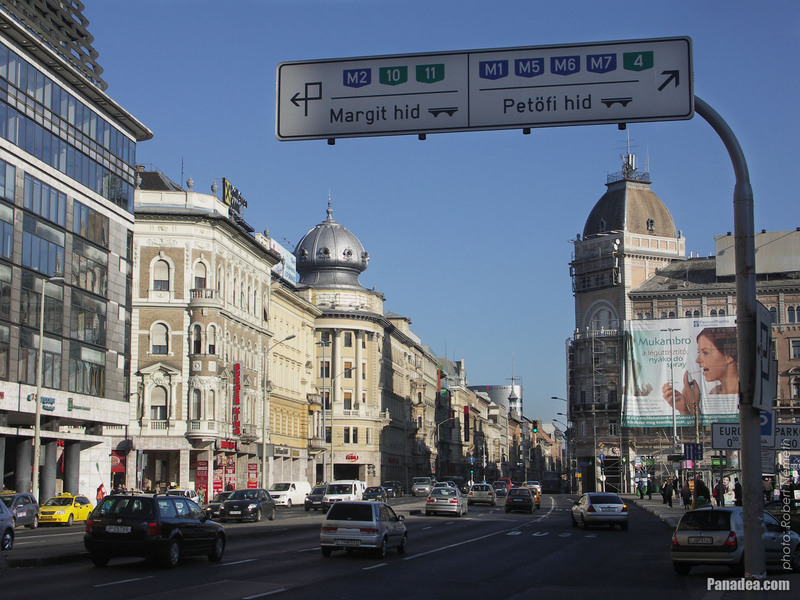 The Hotel Nemzeti Budapest (literally "National Hotel") was re-opened again in December 2012 after a four-year renovation. 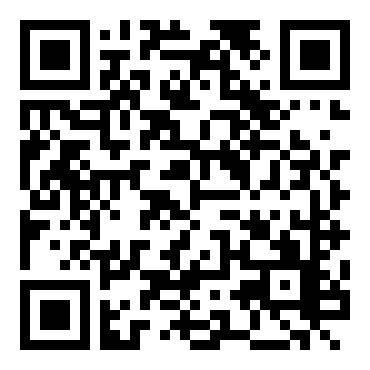 The operator of the elegant boutique hotel is the Mgallery group, which belongs to the international Accor hotel chain. 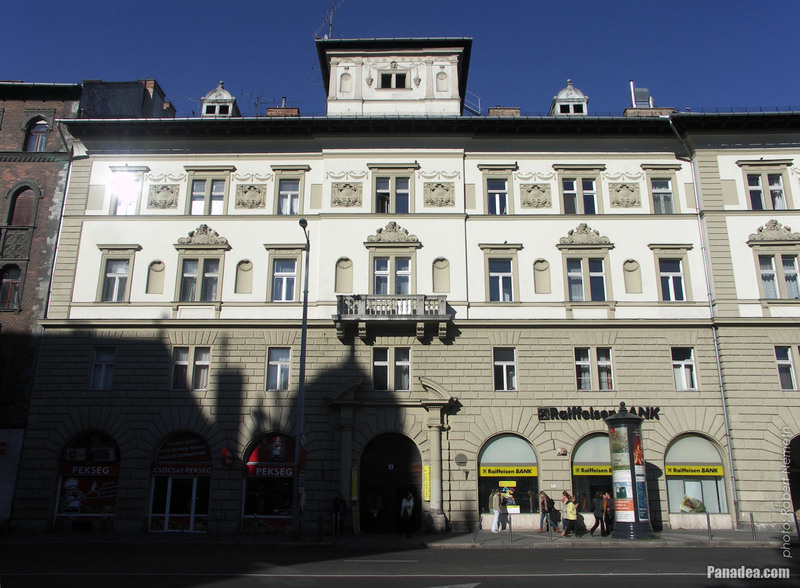 The hotel building was built in 1896, designed by Ernő Schannen. 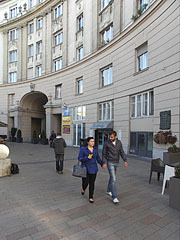 The eclectic style building also has neoclassical style elements, it was opened initailly as Hotel Rémi ("Rémi Szálló"), named after the first owner Róbert Rémi and his famous restaurateur family. 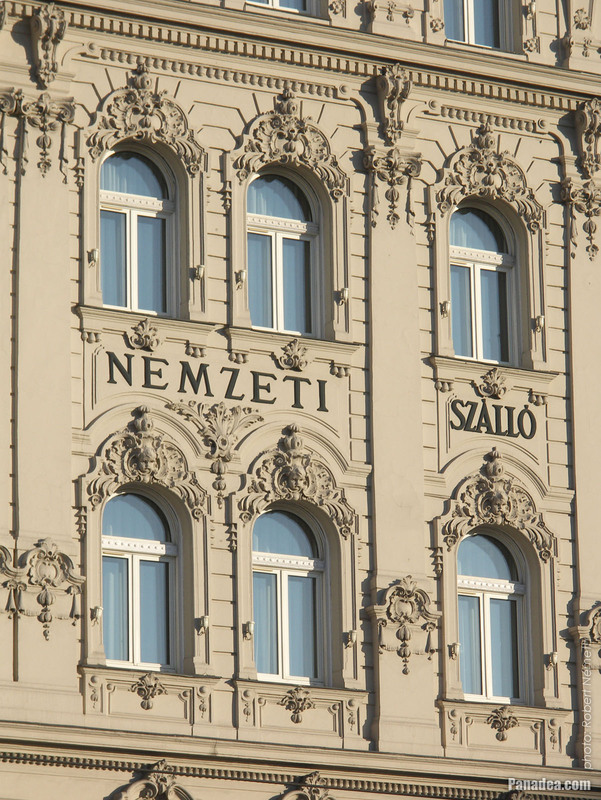 After the change of ownership in 1929 it was renamed to Hotel Nemzeti, simply because the then actual National Theater (in Hungarian "Nemzeti Színház", or as earlier was called "Népszínház", literally "People's Theatre") was stood there at that time. 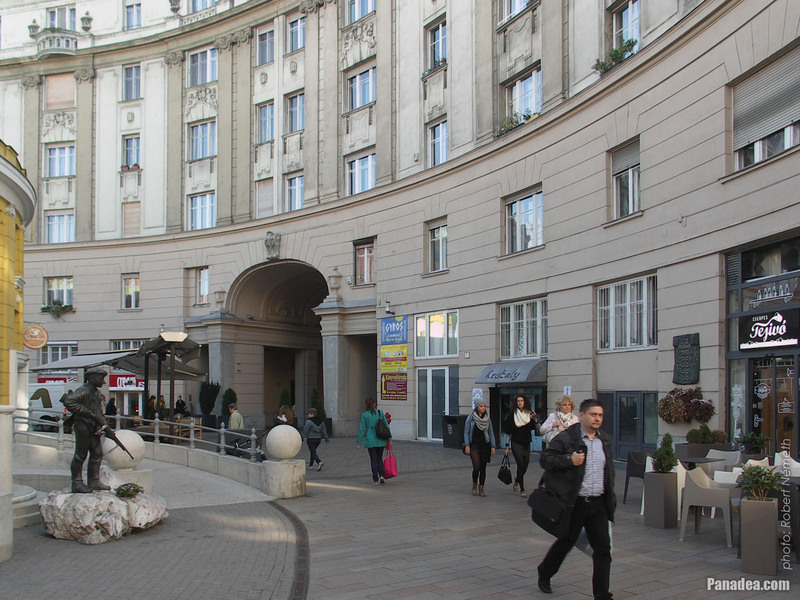 Due to the underground station construction the National Theater was finally demolished in 1965, but among other things the Hotel Nemzeti still preserves its memory, as well as its former name is preserved by the name of the nearby Népszínház utca ("People's Theater Street"). The Ikarus 280 autobus is an extremely successful model, member of the Hungarian-made Ikarus 200 model family and the articulated variant of the Model 260. 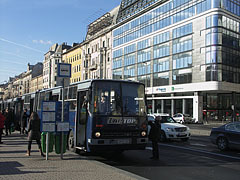 This city bus model was produced between 1971-2002, one of its speciality is that it has exactly the same turning radius (20.8 meters) as the non-articulated, shorter model has. This is due to a relatively simple trick: its rear axle is also steered. 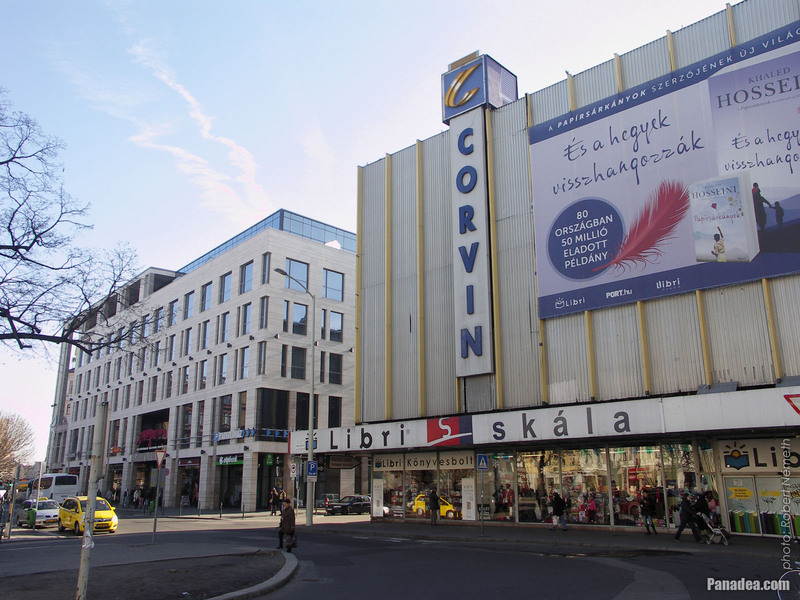 Although for the first glance it seems unbelievable today, the Corvin Áruház (Department Store) on Blaha Lujza Square was built in 1926. 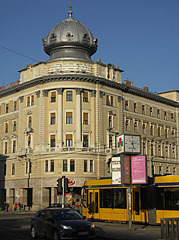 It was designed by architect Zoltán Reiss in neo-classical style, ordered by a German company from Hamburg. 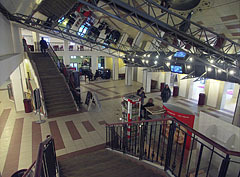 When entering into the building a magnificent glass-roofed hall (atrium) welcomed the people, as well as shops were waiting for the customers on not less than four storeys. Interestingly the building from outside looked like as it had only one very high storey. 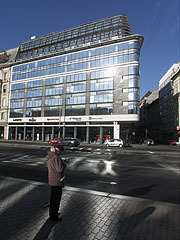 The architect achieved this effect by the actually vertically contiguous windows of the storeys, just a thin wooden insert separated them from each other. 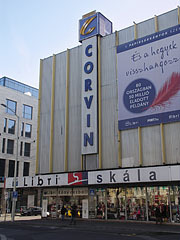 The other oddity was that the Corvin Department Store had the first escalator (moving staircase) in Hungary. 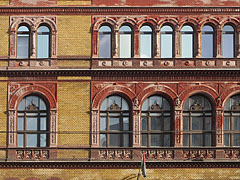 The at its own time very modern and beautiful facade became run-down in course of time and due to the 2nd World War, but despite it under the socialism it was decided not to renovate the old facade. Instead of this an easier way was chosen: in 1966 the shopping center was simply wrapped up with an aluminum cover, and unfortunately this can be seen on the building today as well (although it is probably going to change in the close future).